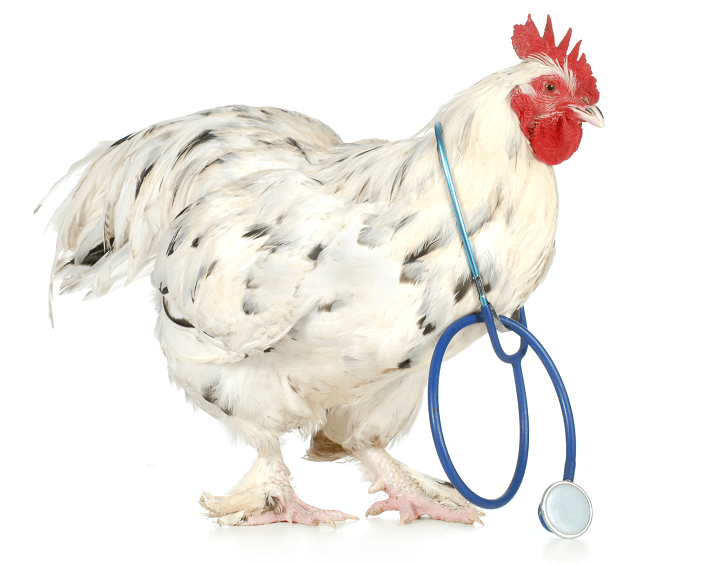 Today we are going to focus on Infectious Coryza– a fairly common respiratory disease in chickens. It’s also known as ‘roup’, catarrh, ‘pip’ or IC. 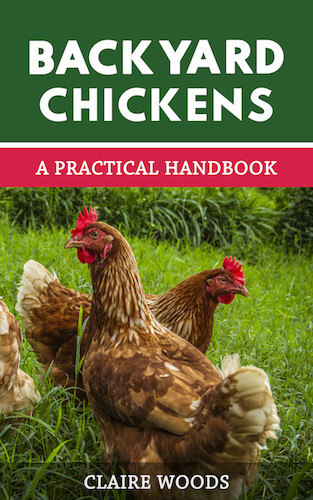 We are going to explain what it is, how the chickens get infected, the problems it causes, the treatment for infected birds and finally, how to help prevent your flock from becoming ill. Although it is not as devastating to a flock as Marek’s or lymphoid leucosis, it can be equally as deadly to your older or weaker birds or birds with suppressed immunity. We have put the information into a question and answer format as the information seems to flow easier this way. 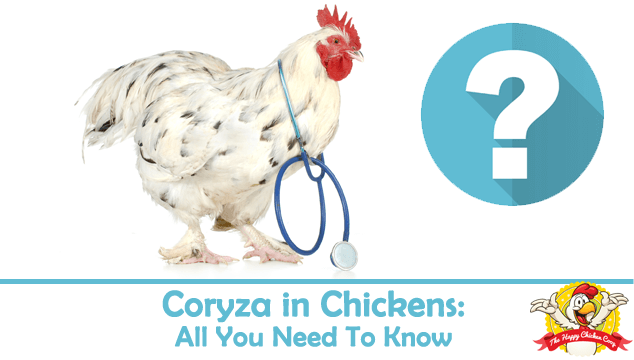 Coryza is the medical term for the common cold – however, in chickens it is generally more serious than a human common cold. It has been described as a severe cold, but it can be much, much worse in both its short and long term consequences. 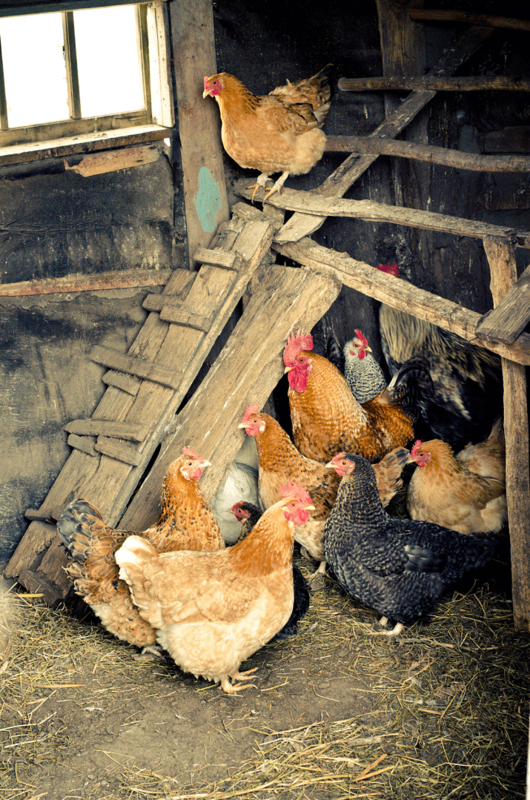 There is a small but steady incidence in backyard flocks nationwide – it is not uncommon. It is a catarrhal infection of the upper airways in chickens, affecting the sinuses causing inflammation and swelling of the airway, congestion and difficulty breathing. There are other differences between chicken coryza and human coryza as we shall see. Note: Catarrh is the inflammation of the mucus membranes. It is characterized by enlargement of the blood vessels, swelling of the tissues and profuse discharge of mucus and cellular debris. It is usually an acute disease but can be chronic in some birds leading to recurrent outbreaks over long periods of time. It does not spread to humans so there is no concern for public health involvement. 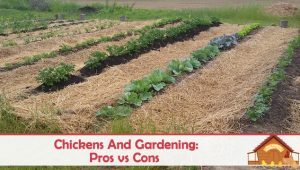 How Do Chickens Catch Coryza? In humans, the cold is viral in nature. In chickens it is caused by a bacterium – specifically Avibacterium (haemophilus) paragallinarum. For those of you who like scientific details, the bacterium is a Gram negative rod shaped bacillus and belongs to the Pasteurella family. A similar disease plagues turkeys, pheasant and quail, but it is believed to be a separate bacterium. Coryza is airborne and passes directly from bird to bird by infected droplets, contaminated feed, water, bedding or dust particles. Birds are highly susceptible at places such as poultry shows, swap meets, and live bird markets – all places where they can be in contact with infected birds. It can also be spread by wild birds, so try to keep them out of the chickens’ area as much as is possible. It is not however, passed through the egg so chicks are not born with it, although they can be infected once they are hatched. Poor, unsanitary housing and overcrowding exacerbates the problem and the bacteria can proliferate in the coop if the circumstances are right. Being an anaerobic bacillus, it can thrive in an atmosphere with little to no oxygen (soil, water and poop) so a damp and dirty coop is the ideal breeding ground. You should make sure you follow strict bio hygiene in your coop. There are several signs of infectious coryza. Individually they can be mistaken for something else, but taken all together there is no mistaking the ‘diagnosis’. Facial swelling – under the eyes, cheeks even the wattles can become swollen. Foul smelling, thick, sticky discharge from the nares and eyes. Conjunctivitis (‘bubbles’ at corner of eye). Labored, open mouth breathing, wheezing. If rales can be heard (sounds like crinkly paper or crackles) the lower respiratory tract is also involved. Eyelids can become crusty and stuck together. You can watch videos of the symptoms here, however it can be upsetting to watch. The incubation period is around 1-3 days – this is followed by rapid onset of symptoms over 2-3 days. The entire flock will be infected within 10 days or so. It is possible that if you catch it early enough you can isolate the infected birds from the rest of the flock, but this is usually futile unless you already have separated breeding flocks. In the incubation period you will be unlikely to notice anything wrong with your birds, perhaps they will be off their feed a little but there are no overt signs at this point. What Treatment Should I Give? Since coryza is bacterial in nature, it can be treated by antibiotics. I cannot stress enough to use the appropriate antibiotics as prescribed by a veterinarian. Treating this infection with the wrong antibiotic will not only be useless, but may harm your bird in the long run and possibly create some antibiotic resistance for the future. A veterinarian can run tests to be certain of the disease you are treating and that the prescribed medicine is the most appropriate to use. The typical antibiotics used are erythromycin, streptomycin or sulfonamides depending on your veterinarian’s choice and its availability. It has been reported that there has been some resistance to sulfa drugs in certain areas – your veterinarian will be aware if it is a problem in your location. 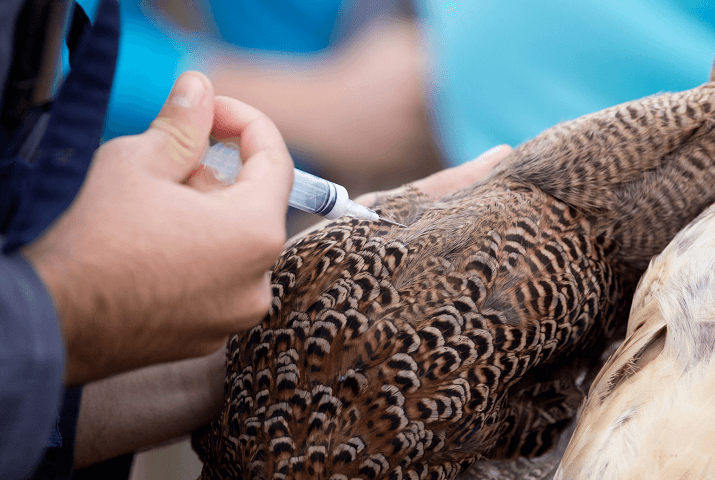 Although the antibiotics will cure the acute infection, affected birds will be carriers of the disease for the rest of their lives and will shed the bacteria from time to time – this means that any new birds added to the flock can become infected. The infected birds may have relapses from time to time and require antibiotic therapy. If you are unable to get to the veterinarian quickly, isolate your sick birds giving them food and water. You can add apple cider vinegar (1 tablespoon/gallon) and crushed garlic to the water. These will help but they won’t cure. If you wish to treat the infection naturally there are several ‘remedies’ out there. They have not been added here since there are far too many to include. Two of the naturopathic remedies that seem to have a lot of positive reviews are grapeseed extract and colloidal silver. I have no personal experience of either so cannot say one way or another about the efficacy of them. Mortality in a flock can vary between 20-50% – several factors can influence the mortality likelihood, but usually mortality stays around 20% in most flocks. The older a flock is the higher the mortality. Older birds do not shake this off as well as the younger birds. If there is already an ongoing ‘low grade’ infection within the flock, this will also most likely increase mortality also. Poor nutrition or hygiene will really increase the mortality rate as will overcrowding or poor housekeeping. Stressed birds are always more susceptible to infections, so try to avoid stressful events such as new birds to the flock, change of feeds etc. The course of the infection can run from a few days to a few months depending on the severity of the infection and the resistance of your flock. The bacteria can be killed by heat, drying and disinfectants. As always, there should be good housekeeping practiced. Coops need to be kept clean and dry with thorough cleaning twice a year or more frequently as needed. Housing that is cold, damp or drafty needs to be upgraded to keep the birds warm and dry. Biosecurity is important to lessen the possibility of infecting your flock. Ensure that you don’t wear the same boots/clothing when you are visiting other flocks or shows. The bacteria can easily hitch a ride back to your flock! If you purchase or are given new birds – quarantine for at least 30 days, more if possible. The birds you bring in may look healthy, but can carry not only coryza but other more virulent ‘nasties’ too. They should be quarantined well away from your existing flock. If you do exhibit your birds in poultry shows you likely already have separate quarters for your show birds. If you do not, it is time to do so – poultry shows are ideal breeding grounds for many infectious diseases including infectious coryza. Should your flock become infected, it should go without saying that no other poultry owners should visit you, nor should you visit them while the infection is ongoing. If your flock gets infectious coryza and you choose not to cull all the birds you need to be aware that any new birds added to the flock will almost certainly become infected unless you vaccinate. The vaccination will prevent the disease from manifesting, but those birds will be considered carriers for life. The vaccine that is available consists of two injections given subcutaneously several weeks apart. As always the big take-away from this is good housekeeping. A clean, dry and draft proof environment can help the birds fight off infection and maintain their health. A weekly clean-up of all poop, removal of soiled or damp bedding goes a long way to keeping the coops’ ‘germ load’ contained. If you do it more frequently than this, give yourself a pat on the back! The resistance of your flock to infectious coryza will be heightened if they are well fed and maintained in dry, draft proof housing. Since the birds usually molt around the late Fall/winter time, it is important to give them a higher protein food for the duration of the molt. 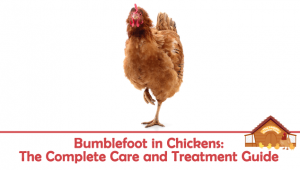 This will help not only re-grow their feathers but fight off any incipient infection process. Although infectious coryza is a relatively low mortality disease it is a chronic, debilitating disease for many birds, especially if they are older. A bird may suffer from regular re-occurrences through its lifetime requiring antibiotics, isolation and increased care and attention. Most birds recover well in the egg laying department, but those who are chronically sick will have a decreased output and may finish their laying cycle very early on. Sadly, Infectious Coryza is on the rise in the US. In this day and age, we can transport a bird across the country in a couple of days, as a result disease can spread quickly across the country. We hope you never have to deal with this disease, but if you do you are now armed with information and can make an informed decision about your treatment options. I’d like more information on a draft free coop with winter coming. Don’t have it in my flock but I do have antibiotics on hand would Bio-Mycin work should I ever get it in my flock? You can in dire need, 100 milligrams per day not for 4 days, not anymore than 4 days.